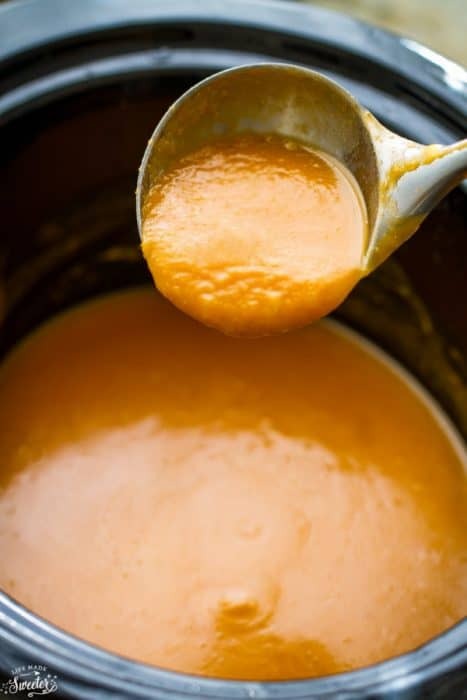 Slow Cooker Butternut Squash & Sweet Potato Soup makes the perfect comforting dish on a cold day. Best of all, it’s so easy to make and the entire soup cooks up in the crock-pot! 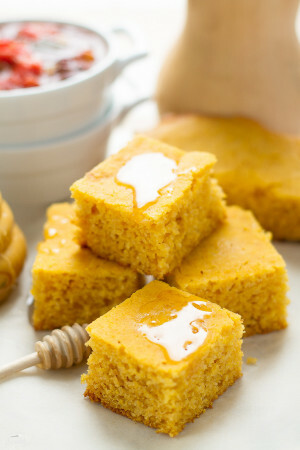 So creamy and rich with the addition of sweet potato and coconut milk. 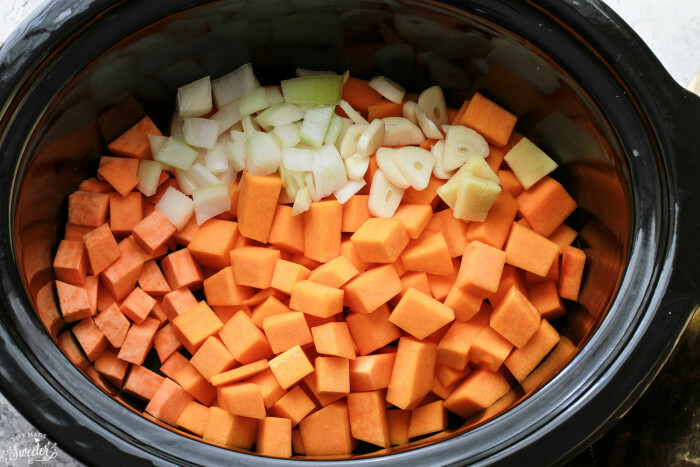 One of my favorite things to make in the slow cooker once the weather cools down are lots of tasty and nutritious soups. 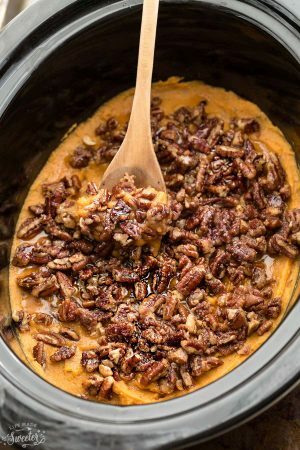 This creamy Slow Cooker Butternut Squash and Sweet Potato Soup is one that shows up around here regularly. 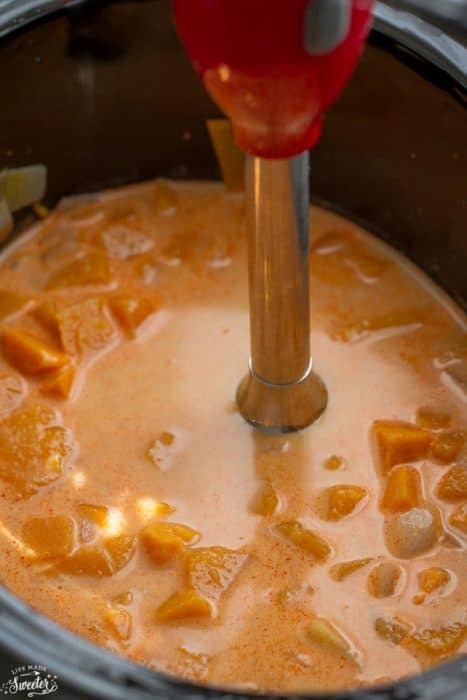 I am a big butternut squash fan and love making various versions of this soup during the fall. 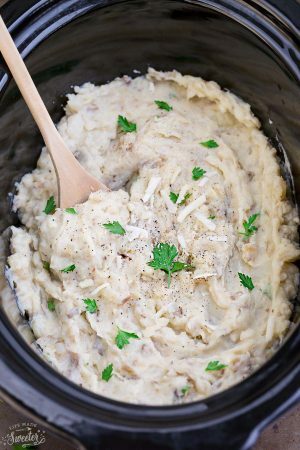 Everything cooks up in the slow cooker and you can customize this easily with whatever you have on hand. long with the butternut squash, I added some sweet potatoes to make the soup extra creamy and filling. There’s also ginger, garlic, turmeric, nutmeg and some cayenne pepper. 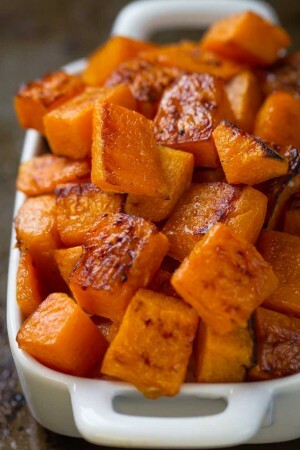 Pumpkin is another great substitute (or addition) if you don’t have any butternut squash. If you like an extra kick of heat, try adding some red Thai curry paste. It gives this an extra layer of flavor – totally optional but SO SO good. 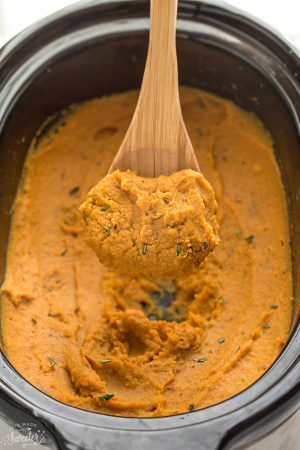 Once the vegetables for this slow cooker butternut squash are all cooked up, use an immersion hand blender to make it all smooth and creamy right in the slow cooker. You can also toss everything into your regular blender or a food processor if you don’t have one — just work in batches. 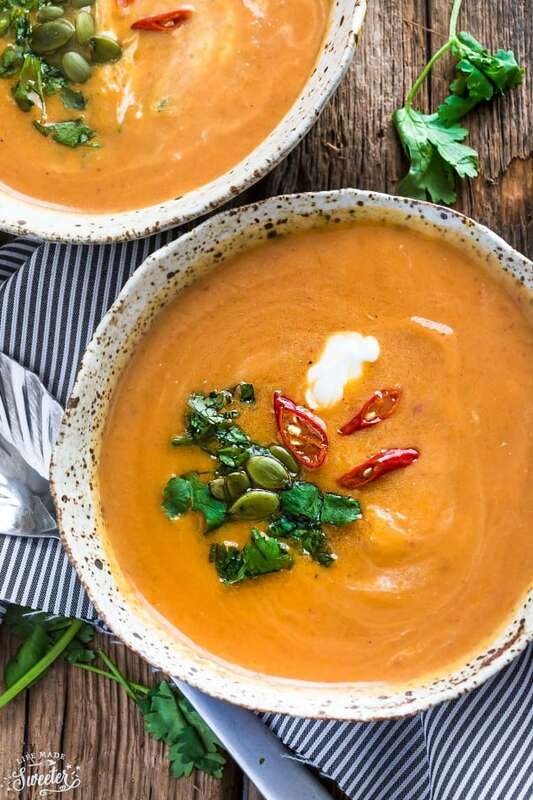 This slow cooker butternut squash soup is vegan, gluten free and super healthy for you. 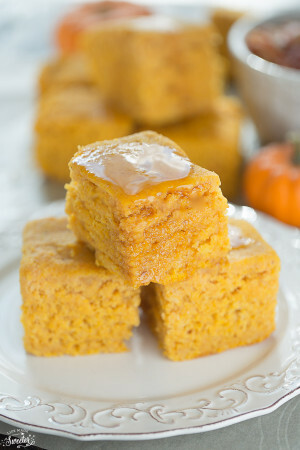 The best part is, how easy it is to make on those chilly day especially during the fall. 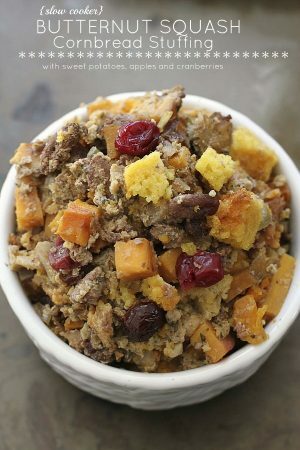 Serve it swirled with some extra coconut milk and some pumpkin seeds sprinkled on top. Easy, delicious and comforting. peel and cut the butternut squash soup ahead of time and store in the fridge in a zip-top freezer bag. 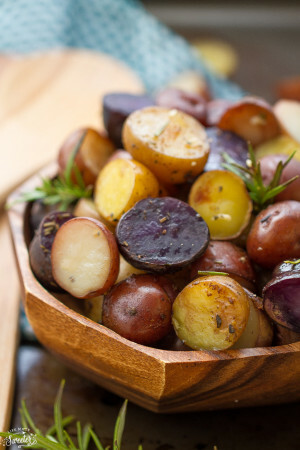 cut and peel the sweet potatoes ahead of time and store in the freezer (the fridge tends to make it change color in a zip-top freezer bag. 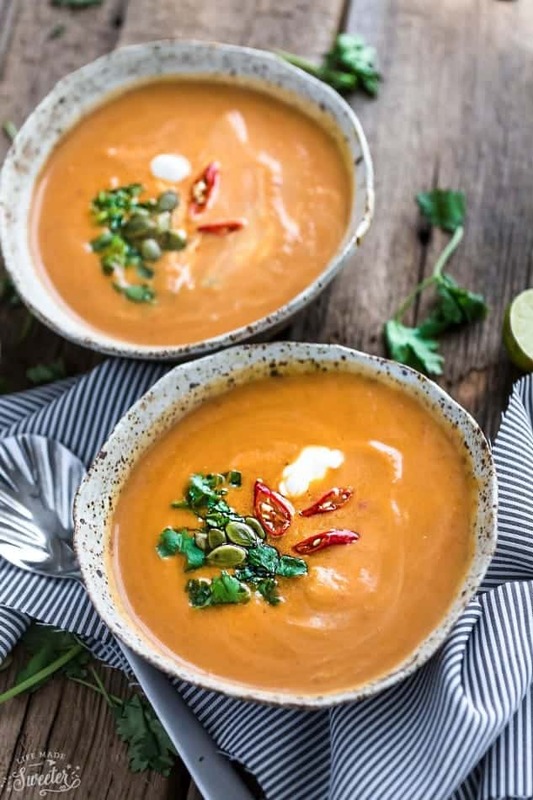 Butternut squash soup made entirely in the slow cooker is rich & creamy with the addition of sweet potato and coconut milk. 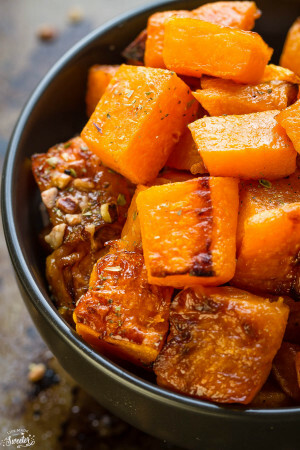 Place the squash, sweet potatoes, onion, ginger, garlic and broth in the slow cooker. Cook on low for 4 hours or high for 2 hours, until soft and cooked through. Add coconut milk, turmeric, nutmeg, and cayenne pepper. Using an immersion blender, puree until smooth. 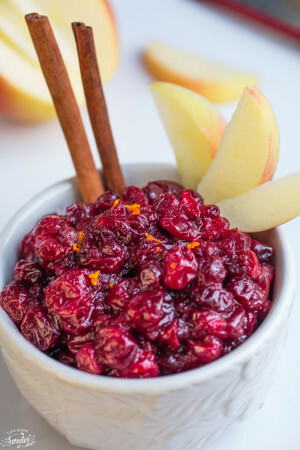 (Alternatively, place in a blender and puree until smooth.) 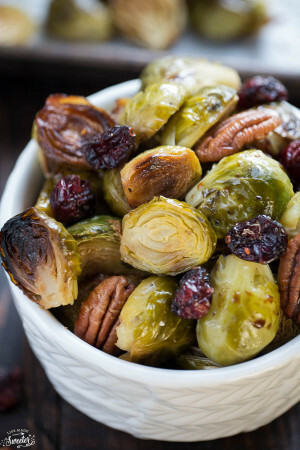 Season to taste with salt, black pepper and garnish with more coconut milk and pumpkin seeds, if desired.